There is really a bad news for wrestling spectators as International Olympic Committee leaders has dropped wrestling from the Olympic program. Though it was not easy to accept that they have hurled one of the oldest Olympic sports from the 2020 Games. According to reports, IOC officials today decided at their meeting in the Swiss city of Lausanne to scrap wrestling and instead retain modern pentathlon in the committee’s list of 26 core sports. The Swiss media on Tuesday claimed that there was close contest between modern pentathlon and wrestling to avoid elimination and that wrestling might have missed out by just “one or two votes”. The board voted after reviewing a report by the IOC program commission report that analyzed 39 criteria. These criteria include television ratings, ticket sales, anti-doping policy and global participation and popularity also. With no official rankings or recommendations contained in the report, the final decision by the 15-member board was also subject to political, emotional and sentimental factors. “I cannot believe that IOC can take such a harsh decision about one of the oldest sport in the Olympics. A lot of youngsters were taking up the sport, but now this blow will take the sport backward,” double Olympic medallist Sushil Kumar said. The 29-year-old won a bronze medal in 66kg men’s freestyle wrestling at the 2008 Beijing Games and went one better four years later by bagging the silver medal. Sportspersons from other disciplines also expressed shock at IOC’s decision. “I am feeling very bad to know that wrestling is dropped. I feel bad for Sushil and other friends. I know they would be very upset. As an Indian I am unhappy because dropping wrestling means it will affect overall performance of India at the Olympics,” said shuttler Saina Nehwal. Though this decision is not final as wrestling can apply for inclusion to the Committee again.The IOC executive board will meet in May in St. Petersburg, Russia, to decide which sport or sports to propose for 2020 inclusion. The final vote will be made at the IOC session, or general assembly, in September in Buenos Aires, Argentina. 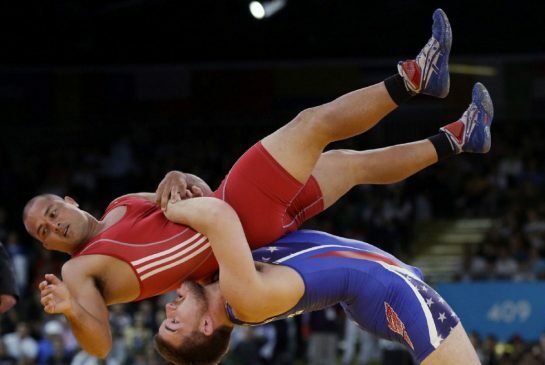 Wrestling will now join seven other sports in applying for inclusion in 2020. The others are a combined bid from baseball and softball, karate, squash, roller sports, sport climbing, wakeboarding and wushu. The 25 sports to get IOC’s recommendations are athletics, rowing, badminton, basketball, boxing, canoeing, cycling, equestrian, fencing, football, gymnastics, weightlifting, handball, hockey, judo, swimming, modern pentathlon, taekwondo, tennis, table tennis, shooting, archery, triathlon, sailing and volleyball.